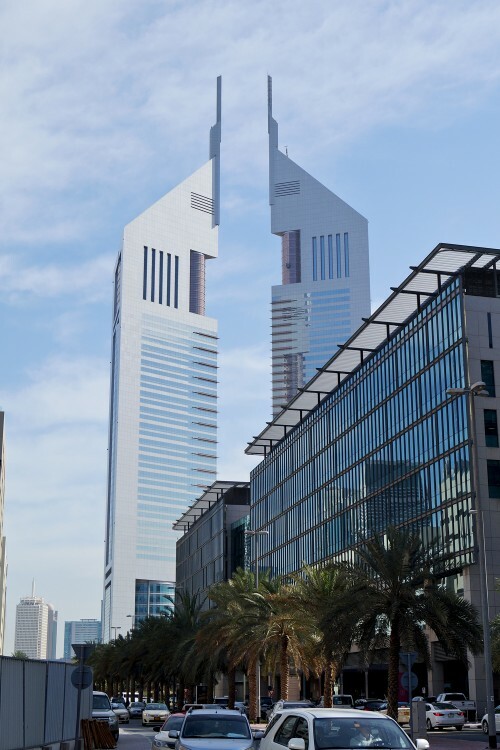 A complex of two buildings, one a hotel and one an office tower. 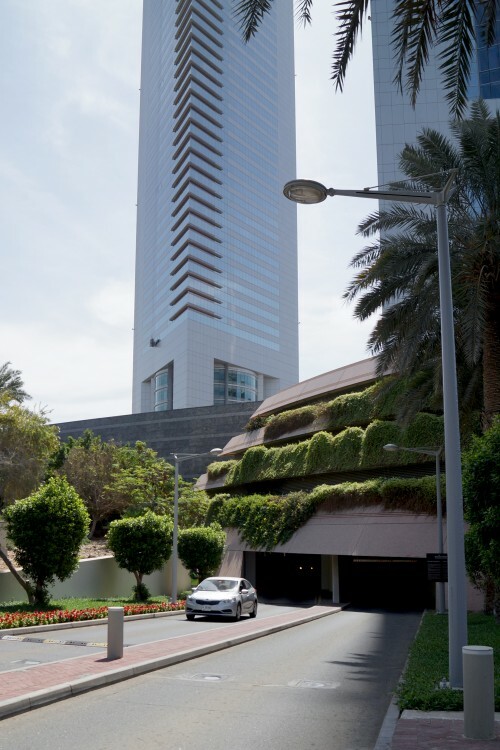 The Emirates Hotel has 40 luxury suites: exactly 10% of its rooms. 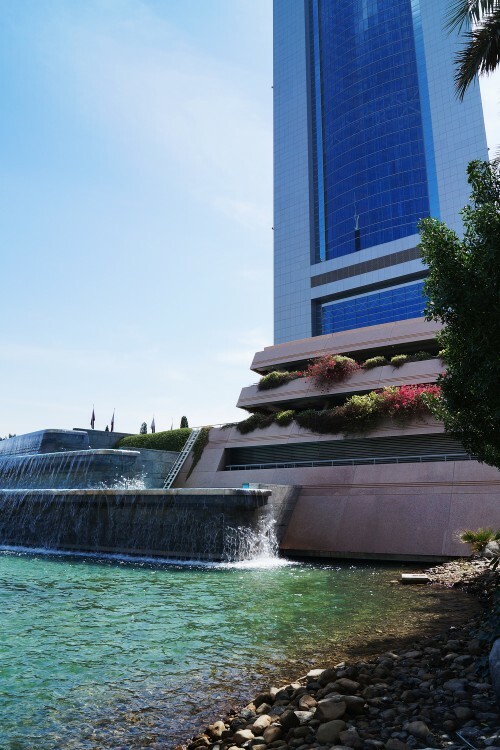 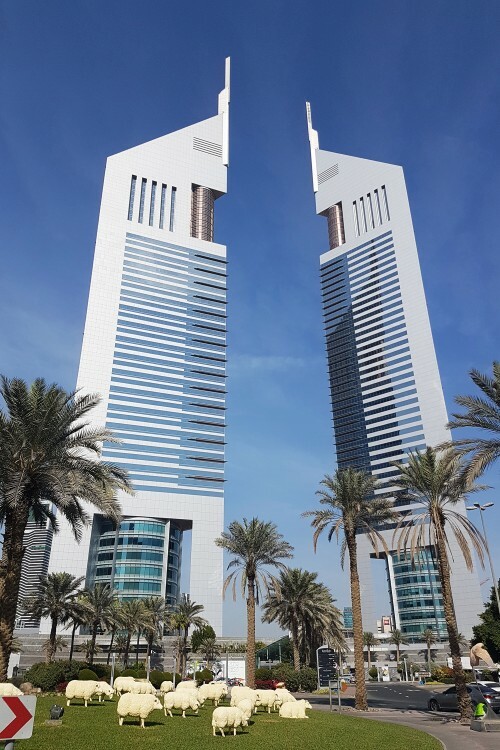 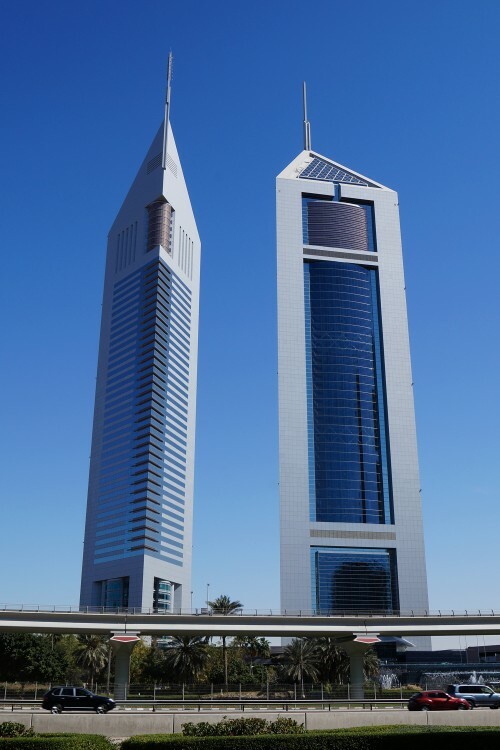 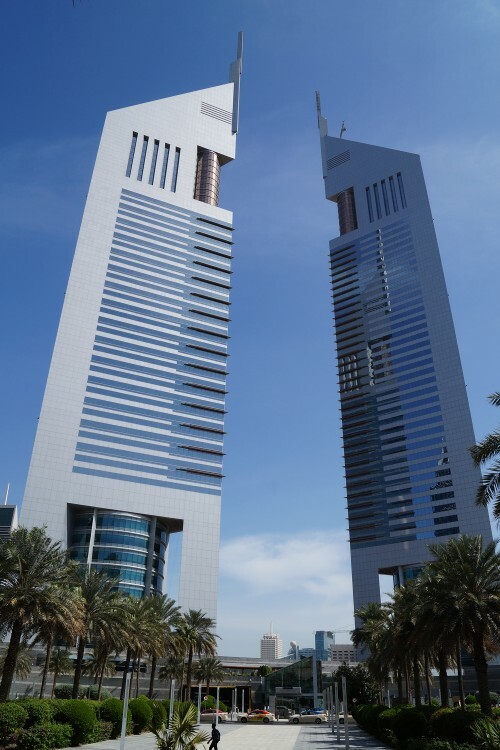 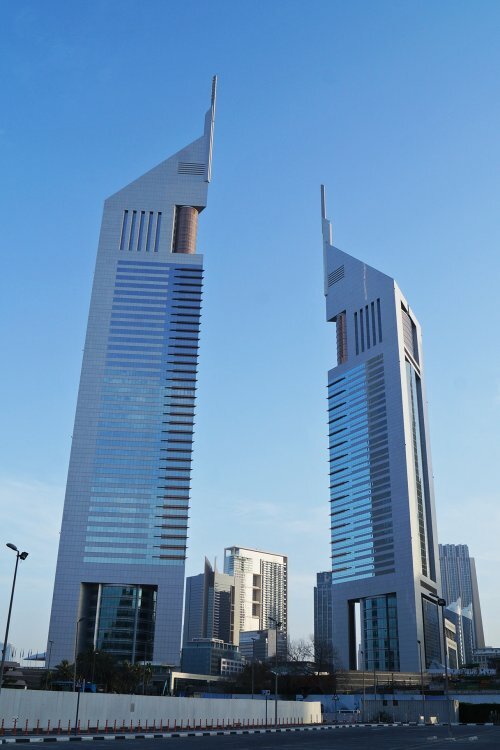 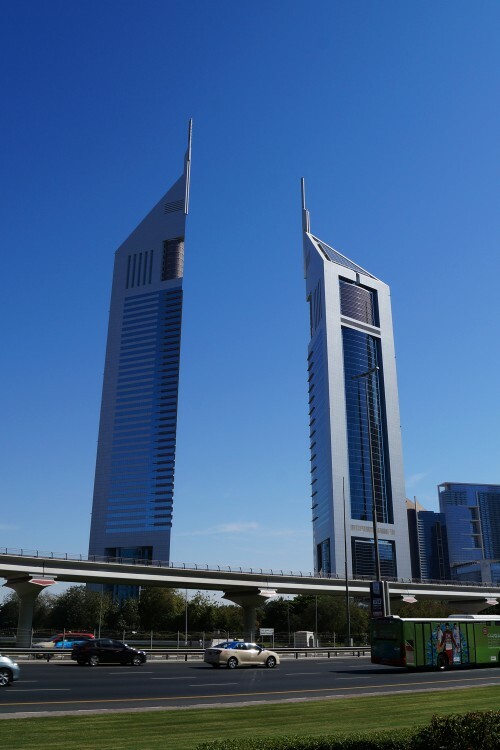 The hotel was completed on April 15, 2000 and is the second-tallest completed all-hotel building in the world, surpassed only by the Burj Al Arab (also in Dubai). 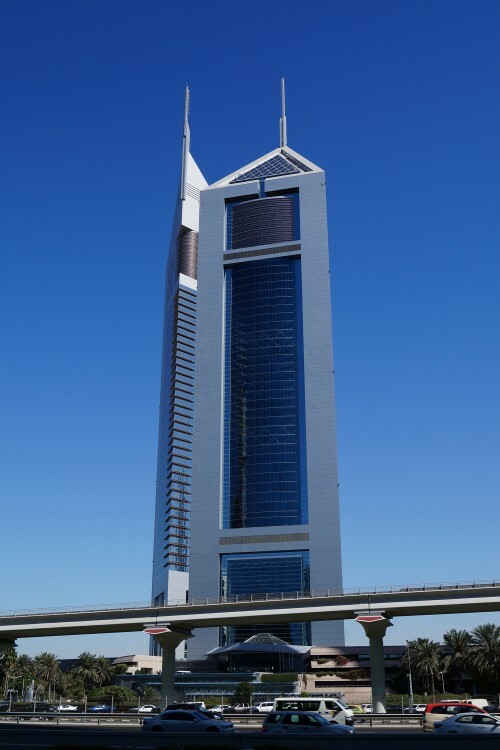 The Emirates Office Tower was completed in November 1999 and has an absolute "official" height of precisely 354.6 metres. 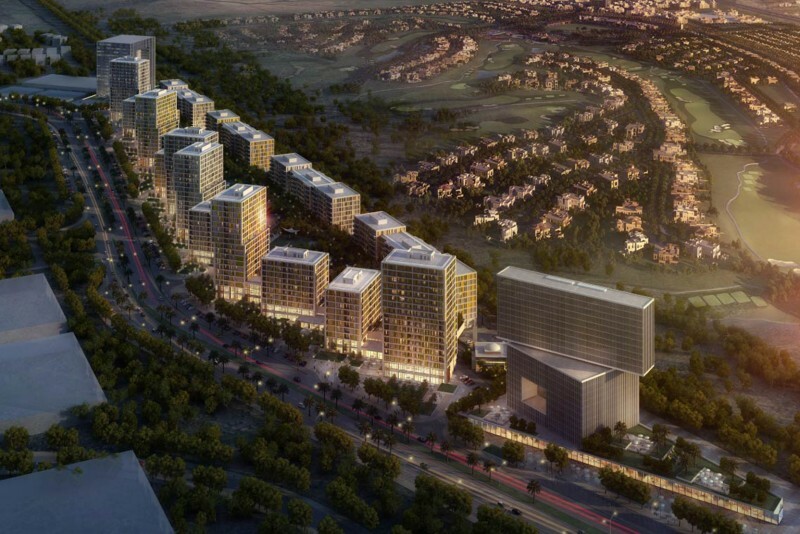 The two towers have a total usable floor area of 140,000 sq m and are connected by a 9,000 sq m retail boulevard.